Lofton Staffing kept true to their promise to find me a job quickly. The job was exactly as was described with no hidden surprises. They were able to get me a 40 hour a week job right away. The Lofton staff is incredibly helpful and friendly, they do everything they can to help you. They become family after a while and have always bent over backwards to help me and make sure I’m doing okay. I'm very pleased working with Lofton Staffing. I've recommended 4 people to work for Lofton. It's a great experience to be able to try a job out before committing to it. The employees with Lofton Staffing are very helpful and understand the needs of the city when filling a temporary position. I continue to deal with Lofton because of competitive pricing, good service, and the ongoing efforts of the staff. 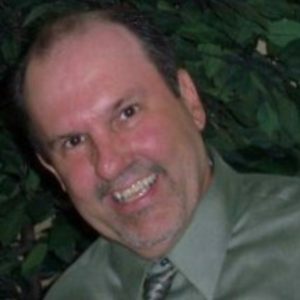 Gene is a native of New Orleans, Louisiana and has been in the staffing industry over 30 years. Gene earned the designation as a Certified Temporary Specialist and began his career at Lofton in 2003 as the Area Manager of New Orleans, Laplace and Covington offices. He has a vast amount of experience in placing office/clerical, security and industrial personnel. Gene is an active member of the East Jefferson Business Association, the New Orleans Chamber of Commerce and a member of the New Orleans Convention and Visitors Bureau.